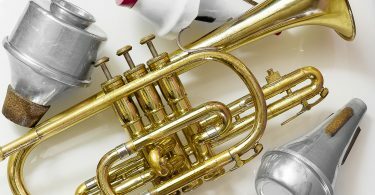 When you’re looking for the best flugelhorn for your jazz or brass band music you may feel a little overwhelmed out there. It’s not a commonly played instrument, so getting recommendations may seem like a difficult task. After looking through many different flugelhorns, we were able to select a handful of top choices. 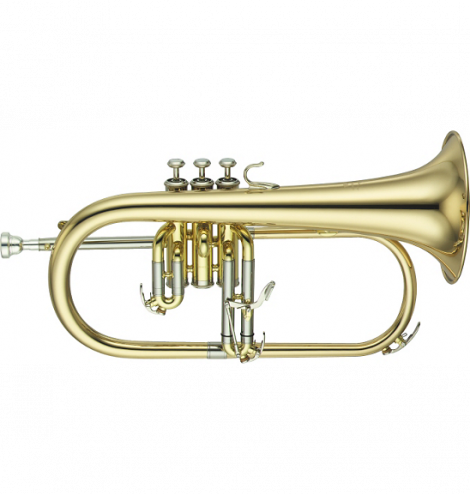 We wanted to narrow down our selection and really highlight one flugelhorn as our top pick. Keep reading to find out what we loved so much about our top recommendation and learn about the flugelhorns it was up against. Beautiful outer appearance, excellent focus and gorgeous sound. Comes with the William Vincent 7C mouthpiece and a wooden shell case. 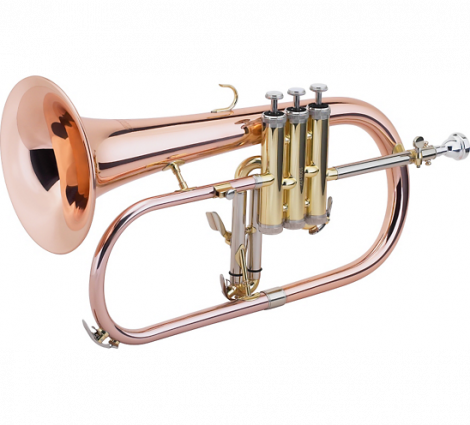 We understand that purchasing a flugelhorn can be overwhelming for musicians, especially because it isn’t a very commonly played or well-known instrument. Therefore, finding the best one that will produce the best sound may seem like a task. We went over every factor with a fine-toothed comb to ensure that anything we recommend truly is the best that would satisfy the needs and wants of our readers. If one of our readers chooses to purchase something we recommend, we want there to be no surprises.That is why we are so thorough in our initial review process to select only the best. 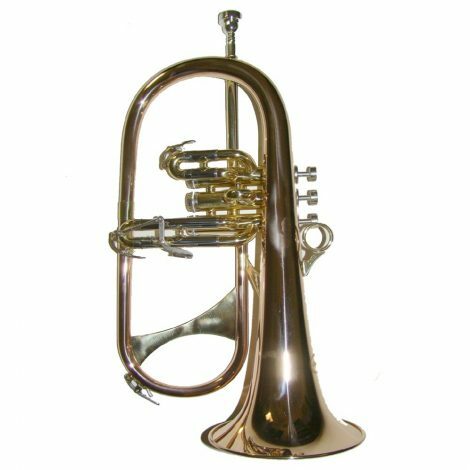 When you’re looking for a flugelhorn there are various features you needs consider to choose the right one for you. First, realize that although a flugelhorn is very closely related to the trumpet that you should not look for a flugelhorn that sounds like a trumpet. Instead, make sure any flugelhorn you consider has the darker tone a flugelhorn should have. There are two options available for the flugelhorn as far as valves are concerned. You can get a fourth valve setup for improved intonation through adding lower note capabilities. 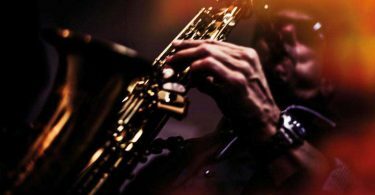 While the fourth valve is great for achieving the lower notes only available with the fourth valve, it does add more weight that can wear you out on longer gigs. So, if you don’t need the fourth valve, a third slide trigger setup will suffice. You will just want to ensure it is easy to extend. You will also want to consider the right finish for you. The finish doesn’t just decide the outer appearance of your flugelhorn. However, it also affects the sound output. 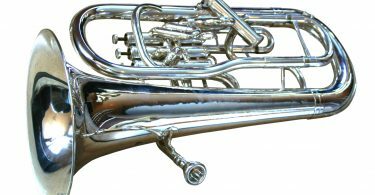 The silver is known for providing a brighter tone, which usually isn’t what is looked for in a flugelhorn as they are known for their darker tone. A lacquered finish may be a better option for your flugelhorn. As you consider the sound you are looking to achieve, the setup that would work best for you, and the finish that would best accommodate your needs you should be able to choose the best flugelhorn for you. Having these things in mind will make the selection process much easier for you. If you were first a musician who played the trumpet, you will find that developing your skills to play the flugelhorn will be a pretty easy transition. The trumpet and flugelhorn are very similar instruments. 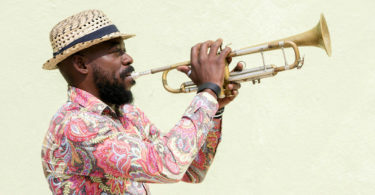 So, for a musician who would like to grow their list of instruments they can play successfully, adding the flugelhorn after becoming a skilled trumpeter should be a breeze. Many jazz musicians enjoy the addition of the flugelhorn to achieve a more smooth sound with a darker tone. The flugelhorn can also be played successfully in some classical orchestra compositions. The flugelhorn is a great accompanying instrument but isn’t an instrument that is used all the time. The flugelhorn is not a commonly played instrument. If you find yourself capable of becoming a skilled musician who can add the flugelhorn to your list of playable instruments, you will find you may have the ability to play more gigs or performances with your addition of the flugelhorn. The flugelhorn and the trumpet may appear to be very similar instruments, but they are not the sound. There are some very identifiable differentiating features of the two and a big difference in the sound. The flugelhorn appears bigger than the trumpet. It is also heavier in weight with a larger bell. The trumpet has a brighter tone, while the tone of the flugelhorn is much darker. The expansion in the tubing’s diameter of the flugelhorn is what gives the flugelhorn its darker sound, whereas a more restricted diameter on the trumpet is what produces its brighter tone. The flugelhorn is most commonly used in brass band and jazz. However, it can also be found being played in orchestra and concert band compositions as well. With its dark tone, it is a nice addition to all four styles of music. Many musicians who play the flugelhorn choose one style of music they play to play with their flugelhorn and work on perfecting it. With the smooth sound, musicians enjoy playing to develop their skill. However, with the weight of the instrument, it can wear you out over extended periods of use. Before you purchase that flugelhorn, there are a few things you’ll want to look at. First, you want to make sure you are purchasing a flugelhorn that is made by a well-trusted brand. This will ensure you are getting a quality instrument. 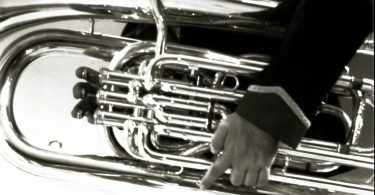 Some of the top brands that produce flugelhorns include Allora, Yamaha, Tromba, Jupiter, Oswal, King, Phaeton, Kanstul, Merano, C.G. Conn, Bach, Selmer, Leblanc, and R.S. Berkeley. You will also want to consider your budget when purchasing a flugelhorn. Beginner flugelhorns can be found for a few hundred dollars. However, as your skill level increases, so can the cost. The cost of a flugelhorn can go up as high as a few thousand dollars. Considering your skill level is also a pertinent piece of information when you are shopping for the perfect flugelhorn for you. There are some really great options for beginners as well as some very nice options for more experienced flugelhorn musicians. You don’t want to be in over your head with a more professional flugelhorn as a beginner, just as you wouldn’t want to end up with a beginner’s flugelhorn as an advanced flugelhorn musician. After carefully going over the details of every flugelhorn we could find and narrowing it down to five best choices, we decided that the Bach 183 Stradivarius Series Bb Flugelhorn is our number one. First, the yellow brass outer appearance is simply beautiful. Any musician would be proud to play this flugelhorn with how beautiful it looks. The lacquered finish helps this flugelhorn produce a perfect sound. You will find exactly what you’re hoping to hear from the dark tones produced by this flugelhorn. However, it is also available in silver if you’re looking for a brighter tone. We were also happy with the third valve slide trigger as it makes performing any tuning adjustments very easy. Bach prides themselves in producing instruments that produce rich, full sound, and that’s no different with this flugelhorn. It maintains excellent focus and sound. The William Vincent 7C flugelhorn mouthpiece that comes with it is another huge selling point. We also approved of the wooden shell case. Not only does it look nice, but it’s nice to not have to purchase a case separately to protect your new instruments. You will want to make sure it remains protected inside the case whenever it isn’t in use. We were very happy with its responsiveness. 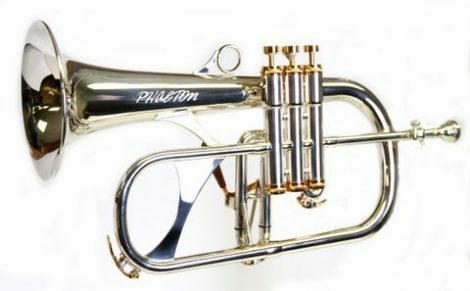 While this is a flugelhorn any skill level could play, we think with the cost involved it would be a better fit for flugelhorn musicians with at least some experience. If a beginner has the thought that they will stick with the flugelhorn and has the funds available for this kind of an investment, this flugelhorn would also be great to grow with. The price may seem steep at around $2,600, but with the Bach name and the beautiful sound and appearance, it is well worth the cost in our opinion. While we were completely satisfied with the Bach, we did have a very close runner up. The Yamaha YFH-631G came in at a very close second choice for us. Yamaha is another well-trusted brand, and this flugel is well-constructed. The gold brassis a very pretty finish and the sound is very beautiful. The gold brass didn’t change the intonation drastically, which we were happy about; we like the dark tone the typical flugelhorn produces. Monel pistons are corrosion resistant and maintain their smooth action over the years. We’re partial to the third slide trigger, so we were happy to see that being the setup of this flugelhorn as well. We liked how the valves were well oiled making them the necessary slickness for proper playability. We were also impressed with the intonation. 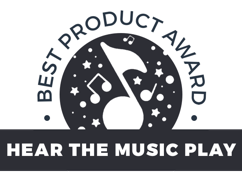 We were very satisfied with this flugelhorn, but there were a couple of things that made us not select it as our top choice. The trigger actuation doesn’t seem to have a comfortable hold. It could be our hands and needs to be played with more, but we couldn’t seem to find a way to hold this flugelhorn that was comfortable to us. While the gold brass didn’t change the tone drastically, there was a slight difference between the sound produced by a yellow brass flugelhorn and this gold brass flugelhorn. Also, the cost was close to $2,000, and we felt that the Bach was just as good at a few hundred dollars cheaper. 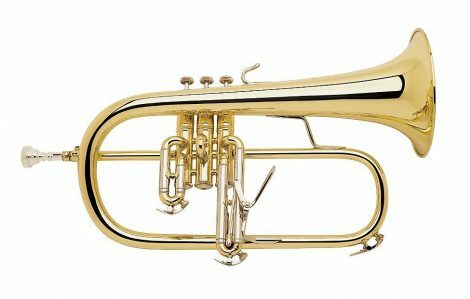 This flugelhorn could be used by a beginner, but with the cost, it is best suited for flugelhorn musicians of intermediate skill level and above. We reviewed many different flugelhorns, but ultimately there were five that competed for our top slot. We still believe that all five are flugelhorns are good choices and would satisfy our readers who are flugelhorn musicians or have an interest in starting to play. There were pros and cons of each flugelhorn, and we’re going to outline those below for each flugelhorn. We pride ourselves on being honest with our readers, which is why we are always sure to share the pros and cons of any products we recommend. While this is primarily a beginner’s flugelhorn, we were pretty surprised by the quality and intonation. This is a very solid and good quality horn. We also were pleased with how the rose gold finish looked. If you’re looking for a flugelhorn with a different but pretty appearance, this is a great option for that. However, as a beginner’s horn available at a low cost, it does come with some issues. First, we found the valves to be sticky. Oiling them did fix the issue but can become redundant over time when it needs to be done quite often. It’s also not quite as fast action as we would like. The case that comes with it doesn’t have room for anything besides the flugelhorn, but a different case can always be purchased. Overall, the sound is good with this flugelhorn. There are just a few quirks. As a beginner’s flugelhorn, the noted issues aren’t a huge deal as long as the beginner knows to keep it oiled. This flugelhorn is very affordable at around $400. This is a beautiful silver plated flugelhorn. The sound produced by this flugelhorn is very beautiful. One thing we will say is that as a silver plated flugelhorn the sound produced is much brighter than what you would expect from a flugelhorn. We like the third valve trigger setup. It is easier to use when you don’t necessarily need the lower notes only provided by the fourth valve. This is an all-around good quality flugelhorn. It can be found for just under $2000, which is a little on the pricey side. 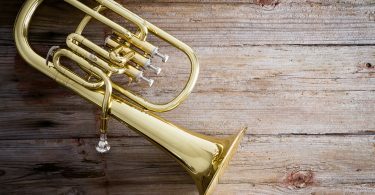 As a nickel and silver lacquered flugelhorn, the tone produced is a brighter tone when compared to the typical yellow brass. We liked that a mouthpiece was included, but you may want to use a mouth piece that you are already comfortable with if you are a flugelhorn musician with any experience. A case is included with this flugelhorn. However, if you’re looking for a roomier case you may want to purchase a different case with more room for storage. Overall, we felt this was more of a beginner’s flugelhorn. The price is right for a beginner at around $400.